Why Gospel Story for Kids Curriculum and Products? Because children need help understanding that the Bible is one story with Jesus as the hero, the Gospel Story Curriculum focuses on Christ as it teaches preschool through sixth-grade children key stories from Genesis to Malachi that highlight God’s plan of redemption. This unique 3-year long curriculum grows with children by exploring the same Bible stories at three different learning levels, presenting the material in a fresh way each time to help children grow in their understanding of the Bible. Every year children learn a slightly longer version of each passage. Corresponding materials in the The Gospel Story Bible, Old Story New and Long Story Short allow parents to follow up with the same lesson at home. This versatile curriculum is ideal for church, school, and home use. Format: Available as printable PDF (both color and black and white) on CD. Includes two, 3-disc lesson sets (OT and NT curriculum) with downloadable PDF. Two discs per learning level. 2 Sword Bible Memory Card (OT & NT) discs with downloadable PDF. 4 copies each of Long Story Short: Ten-Minute Devotions to Draw Your Family to God and Old Story New: Ten-Minute Devotions to Draw Your Family to God. Preschool Lessons: In the preschool curriculum, three- to five-year-old children are introduced to God’s big plan of salvation in Jesus Christ as they learn key Bible stories in the preschool curriculum. Each lesson equips teachers to bring Christ to preschoolers with the help of a lesson snapshot, simple object lessons, coloring sheets, and easy-to-follow instructions. 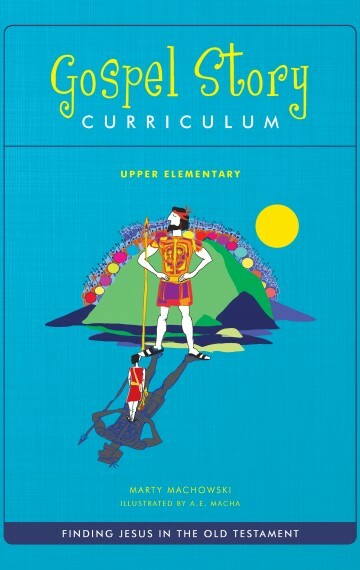 Lower Elementary Lessons: Designed for first- to third-grade children, the lower elementary curriculum takes a more detailed look at how each of these Bible stories connects to the gospel. Through age-appropriate object lessons, activities, and coloring sheets, teachers can help young elementary school children to see Christ in the Old and New Testaments. Upper Elementary Lessons: The developing minds of fourth-to sixth-grade children are challenged to search the Bible’s text through engaging activities in the upper elementary curriculum. Using the same story content as the lower elementary curriculum, the upper elementary curriculum utilizes different activities and object lesson suitable for nine- to twelve-year old children. Reviewing the now-familiar Bible stories, older children will gain a deeper understanding of redemption in Christ as they begin to study Scripture for themselves.